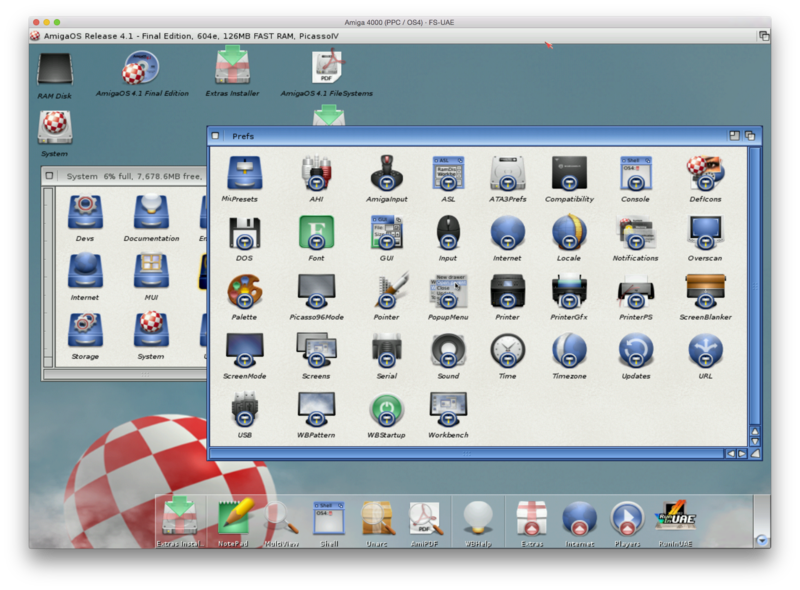 Today I decided to install my AmigaOS 4.1 Final Edition Classic onto FS-UAE running on my MacOS X Yosemite (10.10) Macbook Pro. 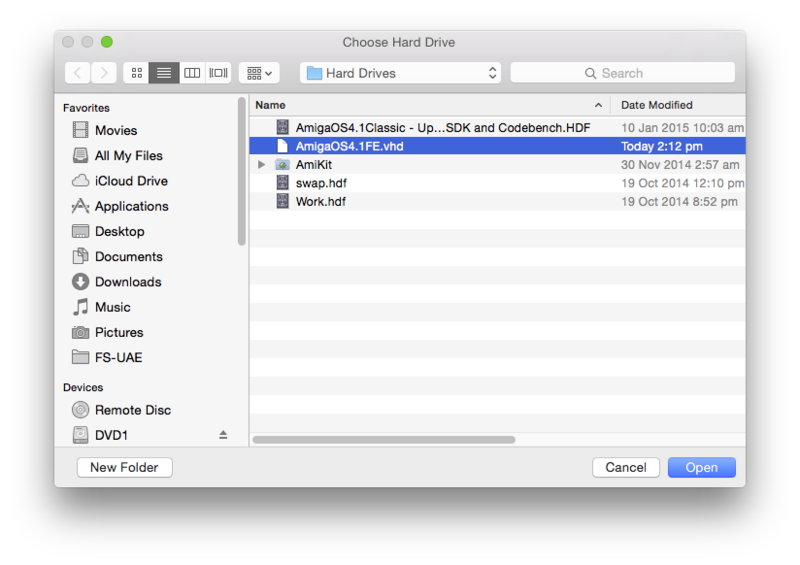 Last year I setup AmigaOS4.1.6 Classic on FS-UAE on MacOS X Yosemite for AmiWest 2014. 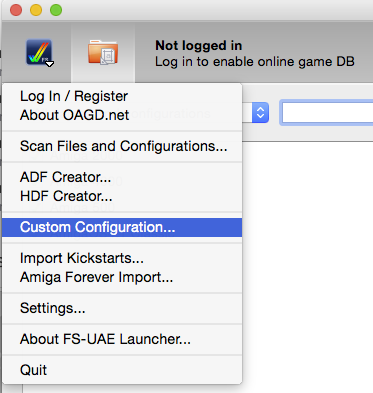 I followed the procedures outlined on EAB's FS-UAE support forum thread here on how to install AmigaOS4.1 on FS-UAE. This is a very good guide indeed! Some changes since I installed AmigaOS4.1 Classic on FS-UAE last year include several major upgrades to the WinUAE base build used for FS-UAE, the support of VHD (resizable) virtual hard disks, SFS0 hard disk partition support (enabling SFS0 hard disk installs to larger HD sizes), Tocatta Sound card support and more too! 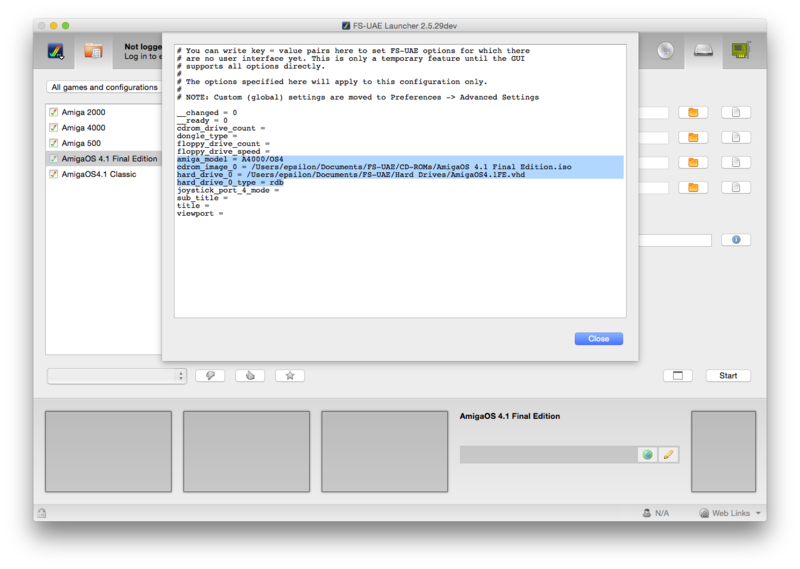 Another change is the update of the QEMU PPC plugin to the latest 3.6 version here (at the time of writing) to use the latest development build of FS-UAE 2.5.29dev, available from here for Mac OS X. 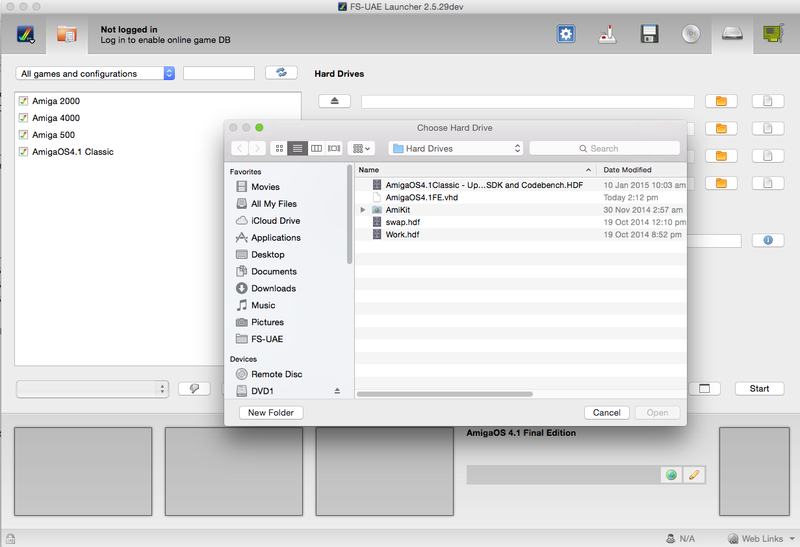 Another new tool in Mac OS X is the VHD Creator tool that can be used to create hard disks that grow as data is put into them, rather than consuming all the space allocated straight away. You can download this VHD Creator tool from here. 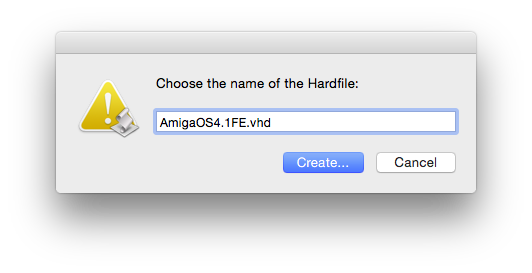 Once downloaded you get this program to create the VHD virtual hard disks needed for the AmigaOS 4.1 Final Edition Classic installation. 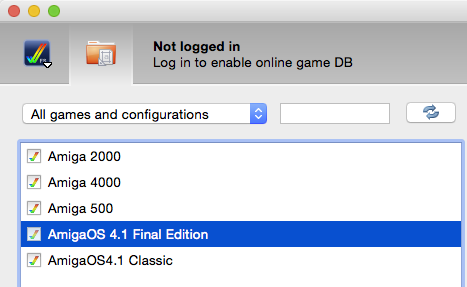 So let's get started with creating an AmigaOS 4.1 Final Edition Classic setup using FS-UAE on Mac OS X Yosemite! 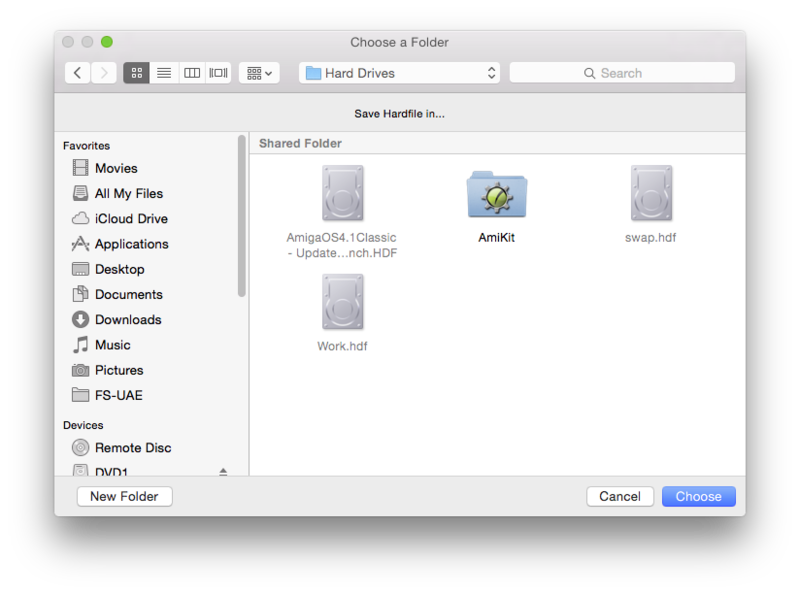 I will assume you have downloaded and run FS-UAE Launcher for MacOS X (you need to run it once to create the FS-UAE folder structure under Documents). I also assume you have the QEmu 3.6 plugin and have put the legal Amiga Forever CD kickstart ROMS, Picasso IV ROM and Cyberstorm PPC ROM file into the correct places in the Documents/FS-UAE/Kickstarts folder. 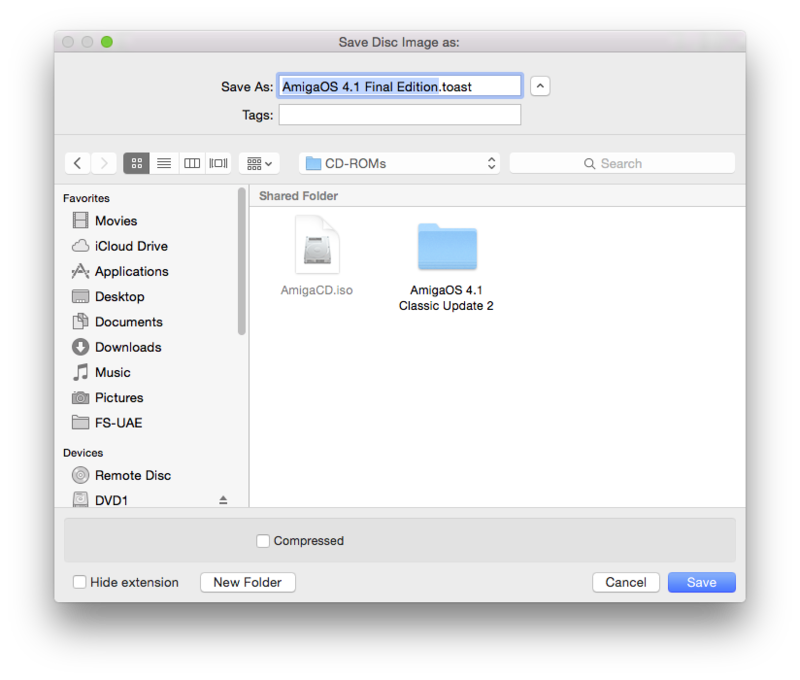 Next we need to create an image (iso) of our AmigaOS4.1 Final Edition Classic CD, to be able to mount it in FS-UAE. 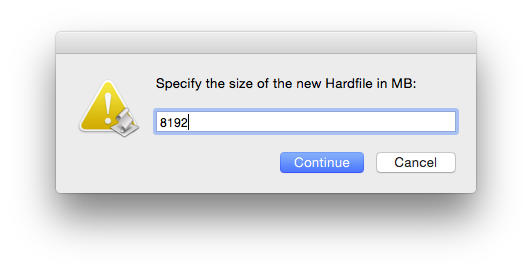 I used Toast 11 for this, but you can use whatever your favourite image creation program is on Mac OS X. 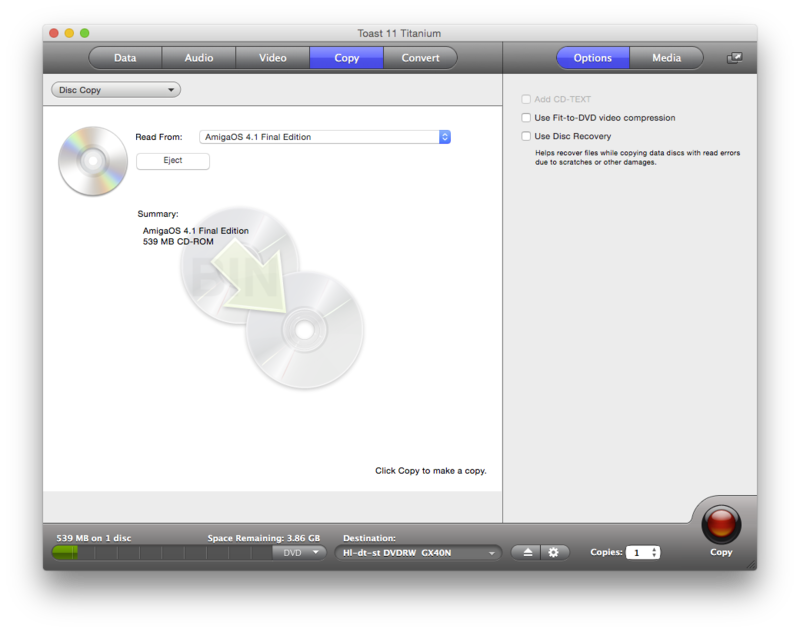 Select the Disc Copy function. 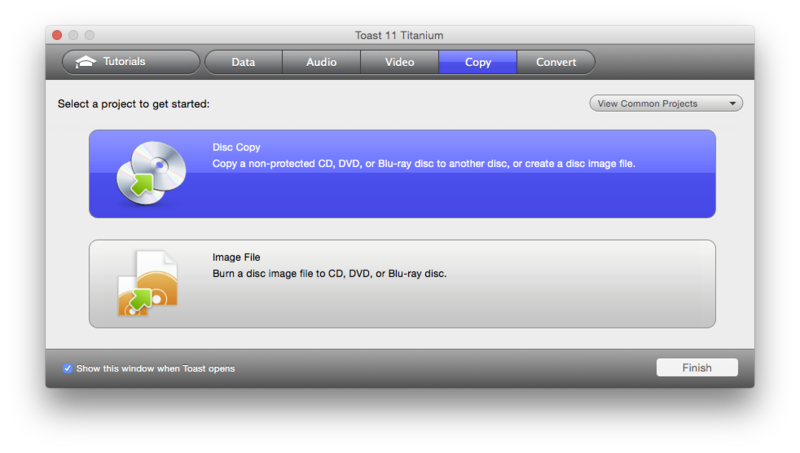 Then from the Finder (I use Pathfinder as a superior Finder replacement) you need to rename the Disc image from .toast to .iso. That done, now run FS-UAE 2.5.29 Launcher and we can start to configure. Then click on Close to close the window. 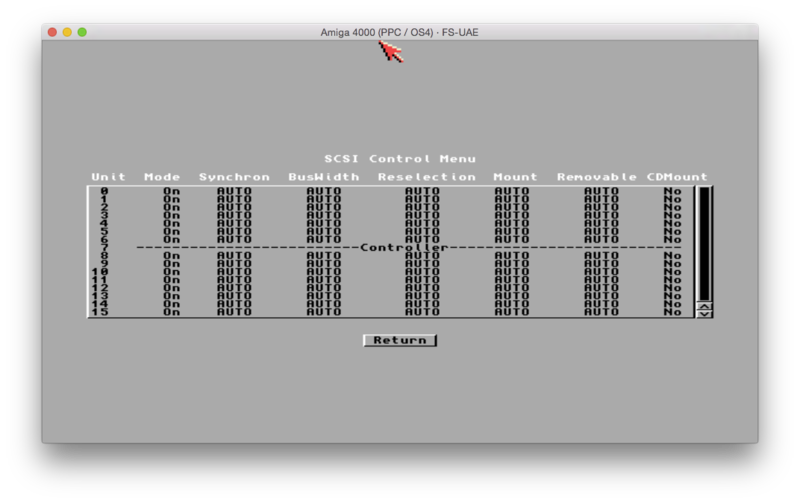 Now I clicked on the Save button (next to the AmigaOS 4.1 Final Edition configuration title) to save the configuration (it shows a red arrow when you have made changes that have not been saved yet). 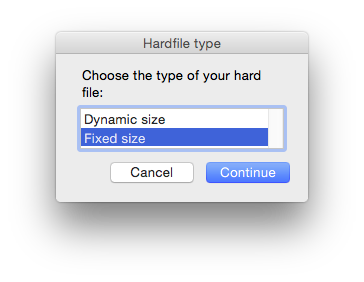 You may remember that I intend to use Smart File system (SFS) rather than the usual FastFileSystem (FFS). In order to do this, we need to install the SFS support to the RDB of the bootable hard disk - otherwise the disk will not boot. 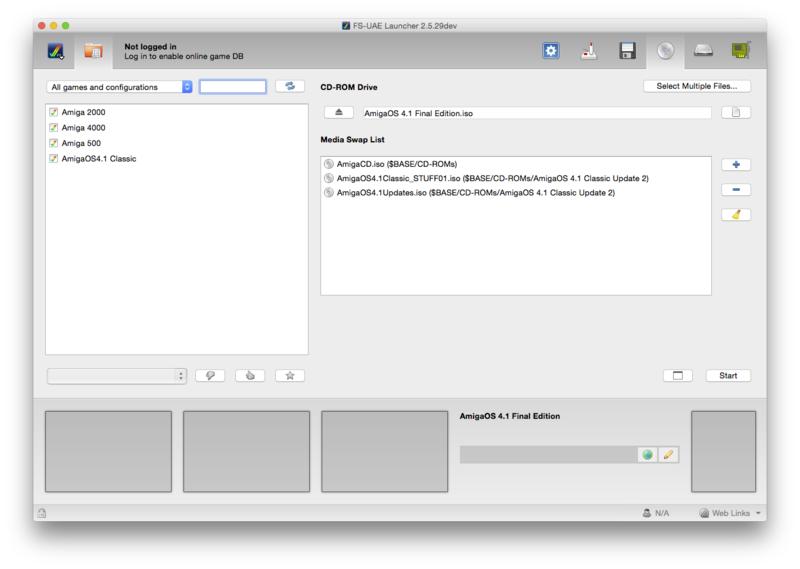 You can see that the filesystem of DH0 is now SFS\00. Make sure Automount and Bootable flags are ticked, then click on Ok - accept changes. If it doesn't boot for you, make sure you check that the SFS file system is installed as I detailed above, the CD has been ejected, and that the hard disk is set to bootable. Success - it now boots AmigaOS 4.1 Final Edition from the virtual hard file and presents me with the standard post-installation options screen! Next step will be getting the network card working on emulated system...which requires the ethernet.device driver from Aminet. Then Amistore, toccata support and more! 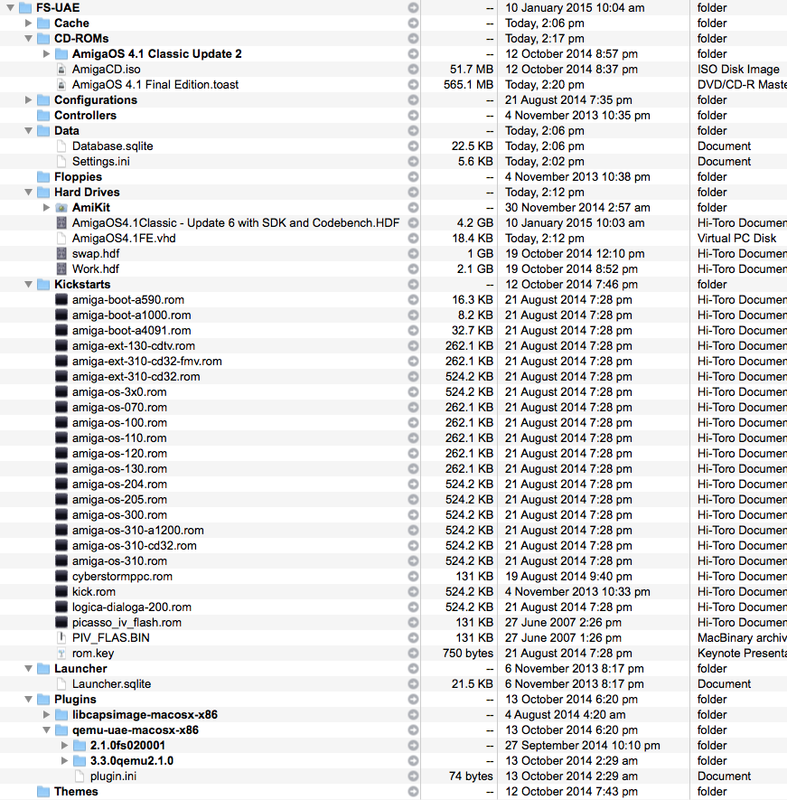 But that is enough work for one day - I'll cover these in a future blog entry! PPC: Error loading Qemu-UAE plugin"
Hi there, my name is Rico and i like to know if an ethernet connection is already working on FS-UAE AmigaOS 4.1 FE ?? Thank you! Worth noting, that you should not add any Folder HDDs, because it won’t work and the installer will stuck on the purple screen. Did you make the network card work??? Can you share the details?